A versatile performer, Canadian mezzo-soprano Evanna Lai is at home on both the operatic and concert stage. Her 2017-18 engagements include chamber and art song recitals, as well as singing Hermia in A Midsummer Night’s Dream with Yale Opera, Nora in Riders to the Sea at the Beethoven Easter Festival in Poland, and Hansel in Hansel and Gretel with Connecticut Opera. Recently, she made her professional European and radio debut at the Amsterdam Concertgebouw as Nancy T’ang in Nixon in China with the Dutch Youth Orchestra. Upcoming performances include Suzuki in Madama Butterfly with Opera Theater of Connecticut and Giovanna in Rigoletto with Opera Connecticut. Ms. Lai began her operatic career as the Abbess in Suor Angelica with the University of British Columbia Opera Ensemble, with which she has since performed numerous other roles such as Prince Charming (Cendrillon), Nancy (Albert Herring), Elizabeth Proctor (The Crucible), and Dorabella (Così fan tutte). With Yale Opera, she has sung Angelina (La Cenerentola), Cherubino (Le Nozze di Figaro), Nora (Riders to the Sea), and Hermia (A Midsummer Night’s Dream). She was a soloist in Dvořák’s Stabat Mater, Mozart’s Great Mass in C Minor, Vaughan William’s Serenade to Music (UBC Symphony Orchestra), Handel’s Messiah (Vancouver Bach Choir), and Bach’s Magnificat (Vancouver Oratorio Society). She made her Carnegie Hall debut under the auspices of Yale University, performing Sibelius and Mahler songs, and returned last year to perform De Falla’s Siete canciones populares españolas. 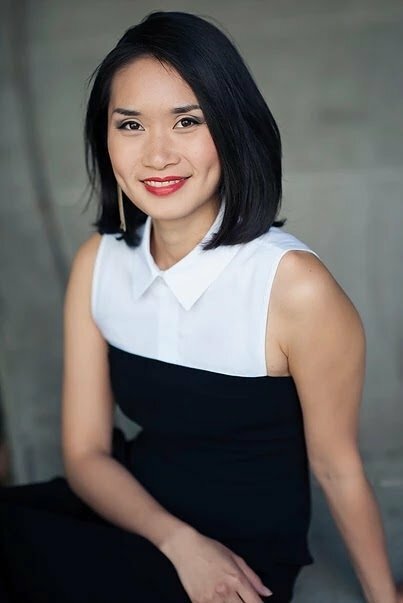 Ms. Lai was a finalist in the 2017 George London Foundation Awards Competition and is the recipient of a Sylva Gelber Music Foundation grant and a BC Arts Council scholarship. She is a twice-named fellow at the Toronto Summer Music Academy, specializing in art song, and a protégée of the Chamber Music Northwest Festival, where she sang with such artists as Paul Neubauer, Tara Helen O’Connor, and David Shifrin. She is a two-time recipient of both the Johann Strauss Foundation Scholarship and the Vancouver Women’s Musical Society Bursary. In 2015, she was a semi-finalist at the Belvedere International Singing Competition, as well as a finalist at the Metropolitan Opera National Council district auditions. Last summer, Ms. Lai apprenticed at Santa Fe Opera, covering the role of Stéphano in Gounod’s Roméo et Juliette. She holds a bachelor of music from the University of British Columbia, and a master of music and artist diploma from the Yale School of Music. Currently, she resides in New Haven, Connecticut, and holds positions in several professional choirs.